Dijkstra, L.J, & Schönhuth, A. (2014). 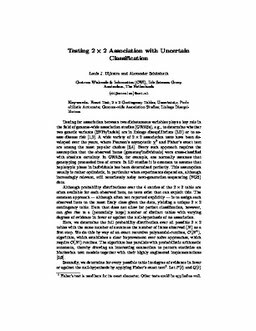 Testing 2× 2 Association with Uncertain Classification. In Proceedings of the SMPGD 2014.